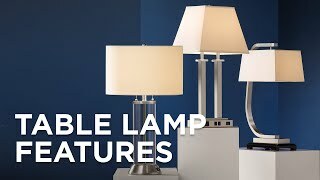 This Color + Plus™ hand-crafted table lamp features a lovely Take Five blue designer color base. Infuse your home with the fresh, designer color of this glass table lamp from our Color + Plus™ lighting collection. 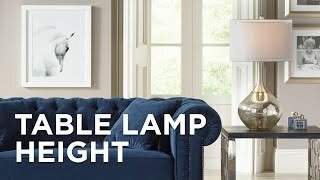 The lamp is hand-crafted and made-to-order by experienced artisans in our California workshops, and features a beautiful Take Five blue color. It rests securely on an antique brass finish metal base, and is topped with a chic cream lamp shade. Lamp base U.S. Patent # 8,899,798. Take Five blue designer color. Antique brass finish base and accents. This Color + Plus&#8482; hand-crafted table lamp features a lovely Koi coral orange designer color base. 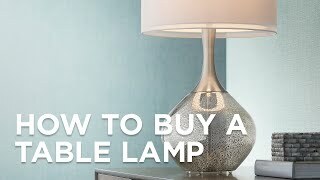 This Color + Plus&#8482; hand-crafted table lamp sparkles with a lovely Magic Blue Metallic designer color base.